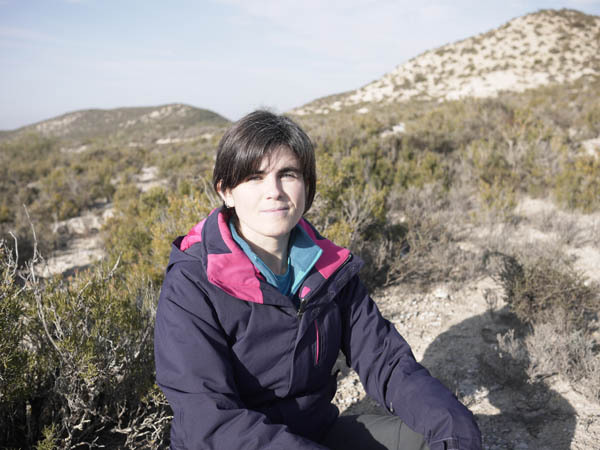 My research is mainly focused on the dynamic and functioning of semi-arid ecosystems. I am particularly interested in the biotic interactions between plants, the spatial patterns they generate and how these interactions are modified by different external factors, such as aridity, grazing and hydrological properties of the ecosystem. Among the semi-arid regions, gypsum environments are one of my research lines. I investigate the adaptations of plants to live in such restrictive soils, and how human activities, mainly grazing and fragmentation, modify gypsum plant communities. In the last years, I have incorporated mechanistic models of plant and water dynamics in semi-arid ecosystems as a research tool to simulate the patterns and processes that we observe in the field. I intend to predict trends in plant succession and stability of plant communities in semi-arid environments, and understand the potential role of different plant traits and biotic interactions in restoration of degraded lands. Papel de las interacciones planta-suelo en el mantenimiento de la productividad y la diversidad de ecosistemas pastorales. Plan Nacional de I+D. CGL2016-80783-R.
IPs: Pueyo Estaún, Y. y Alados, C.L. Importancia de la alelopatía respecto a otras interacciones bióticas entre plantas en la estructura y dinámica de las comunidades vegetales de zonas semi-áridas. Plan Nacional de I+D. CGL2012-37508. Cuantificación y modelado del balance de agua y sales del suelo y su influencia sobre las comunidades de halófitos en los agroecosistemas del semiárido aragonés bajo diferentes escenarios de cambio climático.